Abstract: Considering the complexity and discontinuity of spatial data distribution, a clustering algorithm of points was proposed. 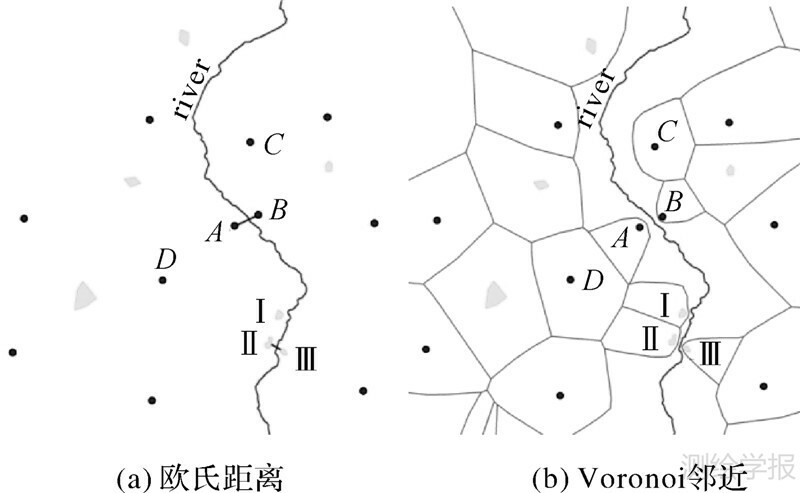 To accurately identify and express the spatial correlation among points,lines and polygons, a Voronoi diagram that is generated by all spatial features is introduced. 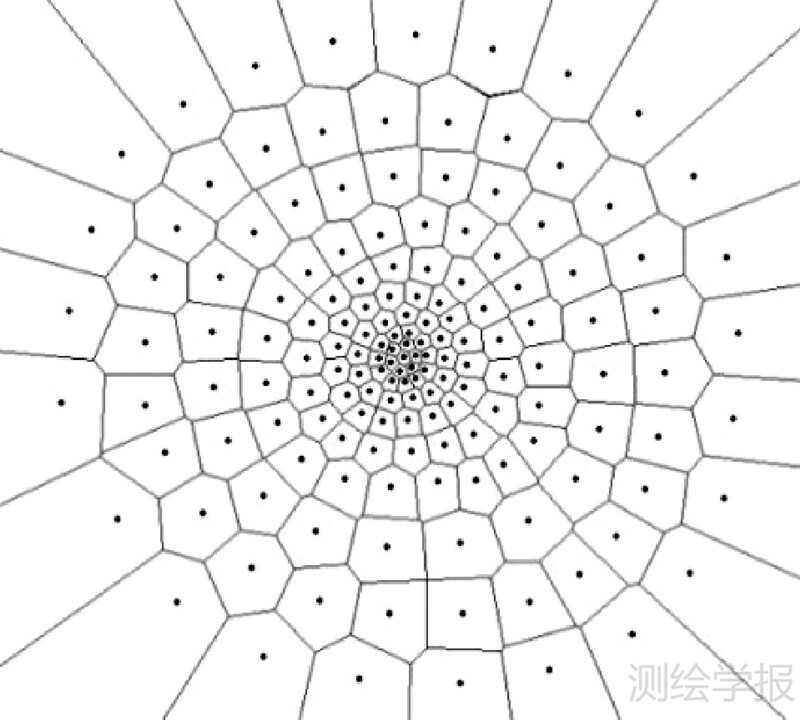 According to the distribution characteristics of point's position, an area threshold used to control clustering granularity was calculated. Meanwhile, judging scale convergence by constant area threshold, the algorithm classifies spatial features based on multi-scale, with an O(n log n) running time.Results indicate that spatial scale converges self-adaptively according with distribution of points.Without the custom parameters, the algorithm capable to discover arbitrary shape clusters which be bound by lines and polygons, and is robust for outliers. NG R T, HAN J W. Efficient and Effective Clustering Methods for Spatial Data Mining[C]//Proceedings of the 20th VLDB Conference. Santiago, Chile:[s.n. ], 1994: 144-155. ESTIVILL-CASTROV, LEEI. AUTOCLUST+: Automatic Clustering of Point-data Sets in the Presence of Obstacles[C]//Proceedings of the 1st International Workshop on Temporal, Spatial and Spatio-temporal Data Mining. Berlin: Springer-Verlag, 2001: 133-146. LEUNG Y, ZHANGJ S, XUZ B. Clustering by Scale-space Filtering[J]. IEEE Transactions on Pattern Analysis and Machine Intelligence, 2000, 22(12): 1396-1410. TUNG A K H, HOU J, Han J W. Spatial Clustering in the Presence of Obstacles[C]//Proceedings of the 17th International Conference on Data Engineering. Heidelberg: IEEE, 2001: 359-367. ZAIANE O R, LEE C H. Clustering Spatial Data when Facing Physical Constraints[C]//Proceedings of the 2002 IEEE International Conference on Data Mining. Maebashi City, Japan:IEEE, 2002: 737-740. FAN B. A Hybrid Spatial Data Clustering Method for Site Selection: The Data Driven Approach of GIS Mining[J]. Expert Systems with Applications, 2009, 36(2): 3923-3936. ESTIVILL-CASTROV, LEEI. 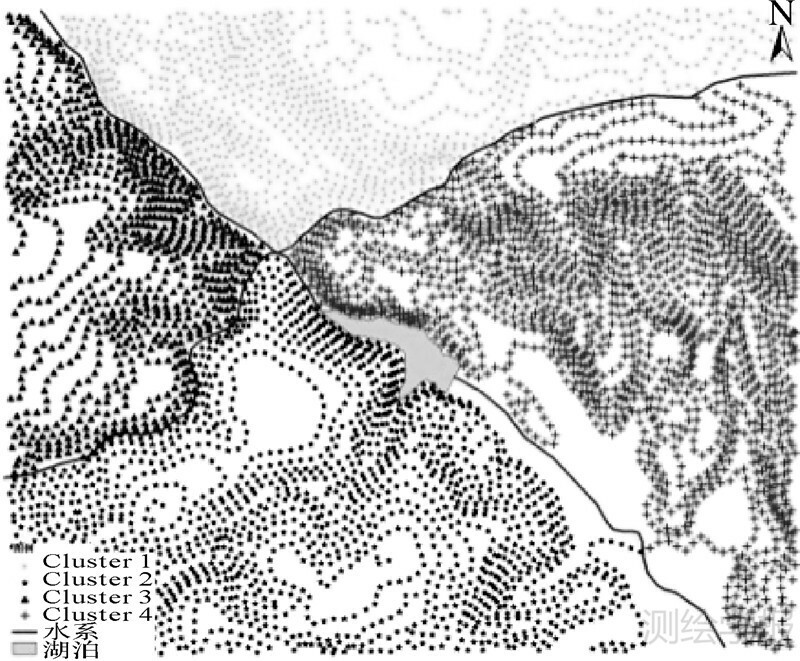 Clustering with Obstacles for Geographical Data Mining[J]. ISPRS Journal of Photogrammetry and Remote Sensing, 2004, 59(1-2): 21-34. LIUD Q, NOSOVSKIYG V, SOURINAO. 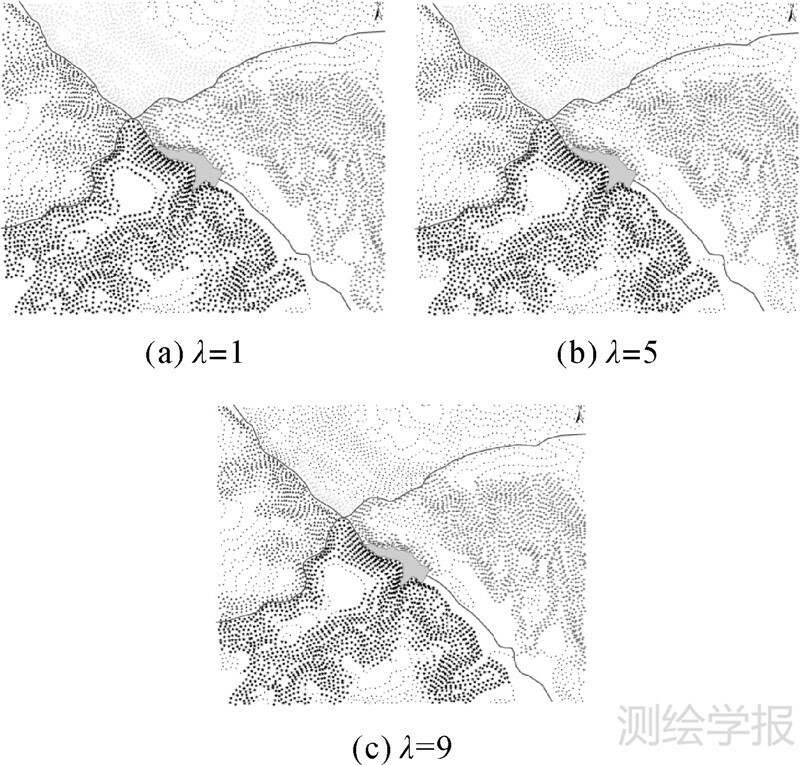 Effective Clustering and Boundary Detection Algorithm Based on Delaunay Triangulation[J]. Pattern Recognition Letters, 2008, 29(9): 1261-1273. EDLA D R, JANA P K. A Novel Clustering Algorithm Using Voronoi Diagram[C]//Proceedings of the 7th International Conference on Digital Information Management. Macau: IEEE, 2012: 35-40. ESTIVILL-CASTROV, LEEI. 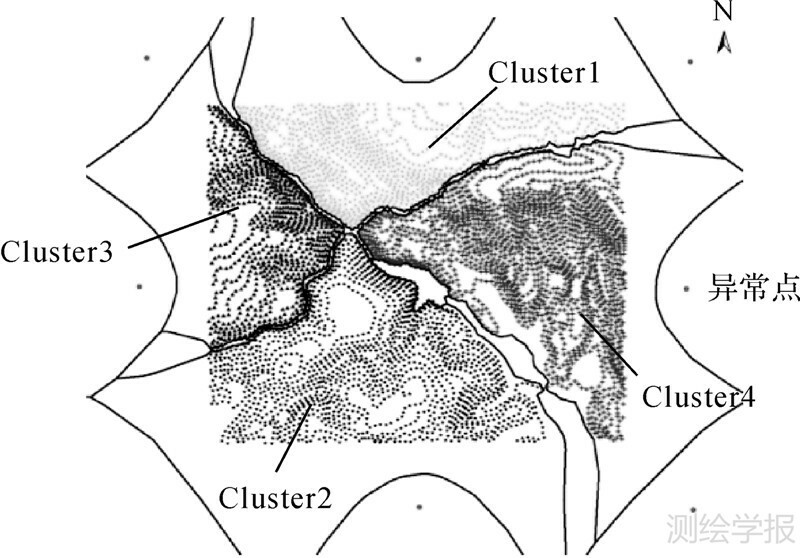 Amoeba: Hierarchical Clustering Based on Spatial Proximity Using Delaunay Diagram[C]//Proceedings of the 9thInternational Symposium on Spatial Data Handling. [S.l. ]: IGU Study Group on Geographical Information Science, 2000: 1-16. 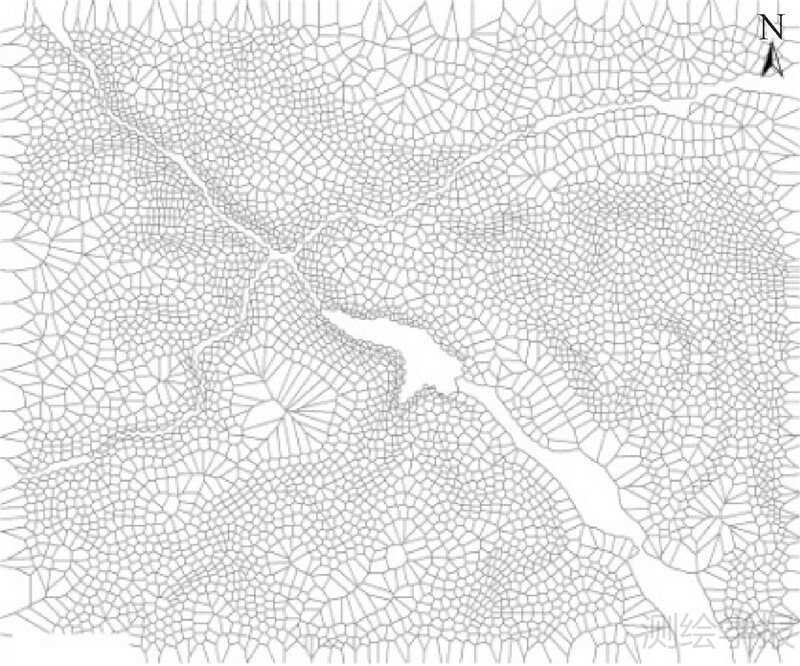 GOLD C M. Dynamic Spatial Data Structures:The Voronoi Approach[C]//Proceedings of the 1992 Canadian Conference on GIS.Ottawa:CIG, 1992: 245-255. MACQUEEN J. Some Methods for Classification and Analysis of Multivariate Observations[C]//Proceedings of the 5th Berkeley Symposium on Mathematical Statistics and Probability. Berkley:[s.n. ],1967: 281-297. ZHANGT, RAMAKRISHNAN R, LIVNY M. BIRCH: An Efficient Data Clustering Method for Very Large Databases[C]//Proceedings of the 1996 ACM SIGMOD International Conference on Management of Data.New York: ACM, 1996: 103-114." 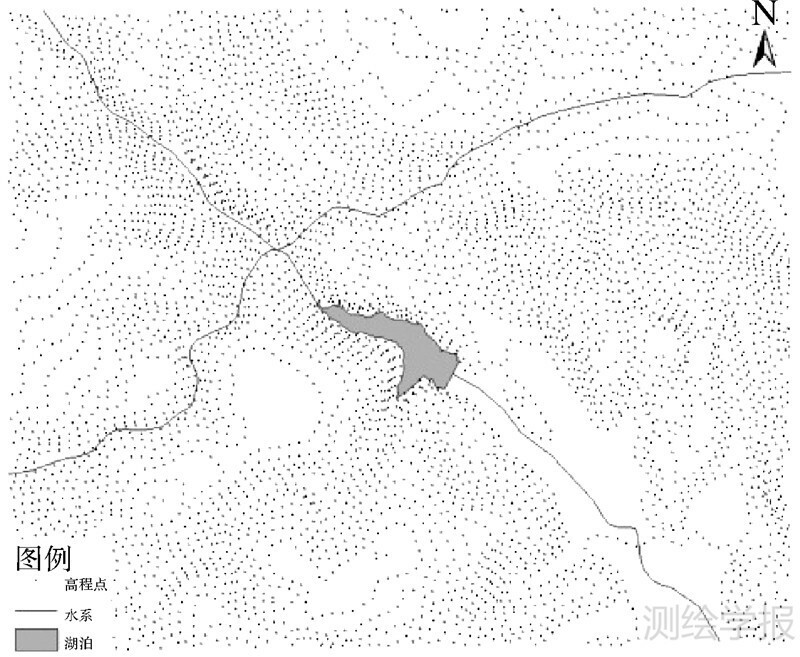 Acta Geodaeticaet Cartographica Sinica, 2015, 44(10): 1152-1159.